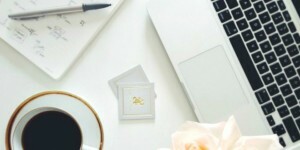 If the idea of making over $1000 every month sounds appealing to you, then this post is exactly what you need. I will be showing you how you can earn $1000 per month by teaching English online. This may sound too good to be true but truth is, it is very possible to make money online as an Online English Tutor. The advent of technology has made life easier. It is now possible to teach other people English language without leaving the comfort of your home. All over the world, Non-English speaking individuals are constantly looking for ways to learn the language because of the high demand for English speakers and because they need it to relate with others around the world. If you have extensive knowledge on English Language, then now is the time to make money teaching English Language to others without leaving your home. What companies hire Work-From-Home English Teachers? There are various ways for you to make money from home while working as an online English Teacher. You can go through our list of online tutoring sites that are mainly established to link you with people who need tutors on various subjects. However, if English Language is what you are really interested in teaching, there are other sites that are mainly established for that purpose. 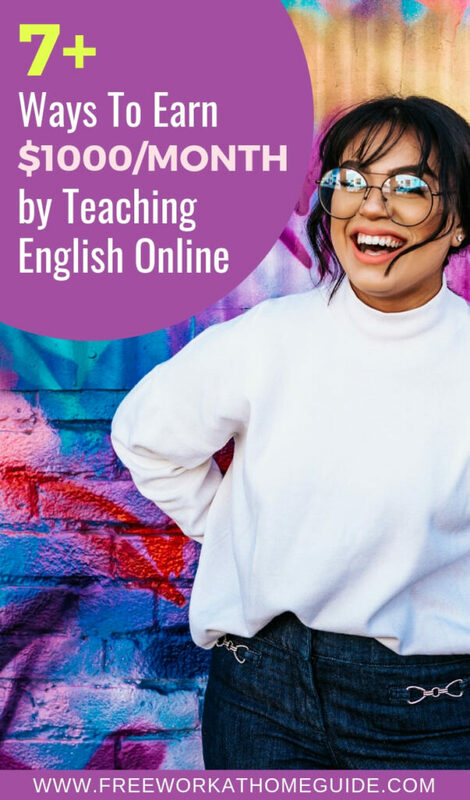 In this post, I will be showing you the Top Websites where you can earn over $1000 per month teaching English Language. VIPKid – Sign up link – VIPKid is by far the most popular English tutoring website available today. This platform has been featured on some top websites like Forbes, Huffington Post, and even Education Week. On VIPKid, you will get the opportunity to offer English Speaking lessons to Chinese Students. In order to qualify for a freelance teacher position on VIPKid, you must have a Bachelor’s degree and must be eligible to work in the United States or Canada. You must also have at least 1 Year of experience teaching English Language. The pay ranges from $15-$25 per hour and you must be willing to work at least 8 hours every week. Education First – Sign up link – Education first, has grown to become one of the biggest privately owned education companies in the world today. The company also hires Freelance English Teachers to teach Chinese Adults and Kids so that they can learn to speak English Fluently. The classes you hold on Education First are always broken down into segments that will last for 25 minutes each and the classes hold in the mornings on Weekdays and at night during Weekends. As long as you are qualified to teach English Language, Education First will be willing to hire you. The pay ranges from $12 to $19 per hour of work. Say ABC – Sign up link – Say ABC is another company you should consider if you want to work from home as a Freelance English Teacher. The company which has its headquarters in Beijing is established to provide English learning classes to Chinese Children. Each class lasts about 40 minutes and the pay is about $21. In order to qualify to work on Say ABC, you must have a Bachelor’s Degree, and also possess a fast internet connection for the purpose of Video transmission. Qkids – Sign up link – Qkids also hires Freelance English Teachers for the purpose of teaching English Language to Chinese Students. 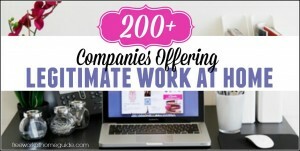 The company gives you the opportunity to set your own working hours and pays up to $20 per hour of work. 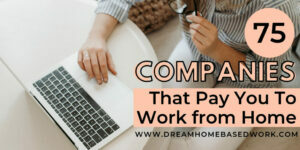 If you are really passionate about making money from home, these sites are waiting to hire you. The time to wait is over. Take action by applying to any of these companies today and start making the cool cash you want.